Each owner of a motor vehicle knows the instrument cluster, which consists among other things of the fuel gauge, the speedometer and the tachometer. And almost every car driver experiences at some point in his life that one or more of these components is no longer working properly. This is not bad for two reasons. On the one hand, it is sensitive technology that can cause problems in due course. On the other hand, there are competent and professional help in moments like these. 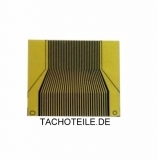 tachoteile.de is one of them and provides you with a variety of high-quality combination instruments, speedometer and a number of other electronics items. 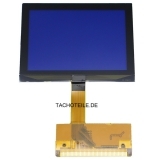 Whether you are looking for an instrument cluster speaker or need a rewritable EEprom for speedometer repair: At tachoteile.de you will find it - with spare parts at the best price! 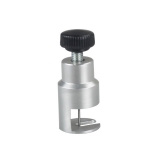 tachoteile.de offers you a large selection of first-rate tachometer parts and more. You will discover all the products in a comprehensive assortment. Different categories such as "Alfa Romeo Tacho Parts" or "Jaguar Tacho Instrument Cluster Parts" tell you at a glance what items you will find there. In addition, you have the ability to search your desired electronics quickly and easily by search. For example, enter "Mercedes Benz original speedometer pull-out hook" in the appropriate field, press the arrow symbol and you'll get an overview of all matching products. Of course, you are also looking effortlessly for parts that should be suitable for several brands. Put in the search function for example "Tacho KM Stopper for Mercedes BMW Audi VW" and activate the search. as well as many other brands on you. You are interested in a particular model? With pleasure. In the product description you will find out for which types the article is suitable. 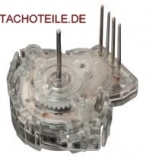 tachoteile.de not only convinces you with its huge range of instrument clusters, speedometers and more. You will also appreciate the customer-friendly service, whose central component is speed. How to deliver tachoteile.de your ordered items quickly with DHL, Hermes or UPS. But you will also get your answer quickly after contacting your Tacho and Co. specialist. Just write an e-mail or use the contact form to communicate your request for example to a specific product like the Stepper Motor Speedometer Speedometer or any other topic. A competent answer will not be long in coming. In addition, you will regularly discover new items in the assortment. 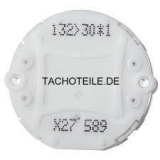 Take a look around and cover yourself at tachoteile.de favorably with instrument clusters, tachometers and other electronic components and spare parts! Perfect tool to remove for BMW, for Mazda and other cars indicators - pointers.